TICKETS ON SALE TOMORROW, Tuesday September 24 at 10 am PST/1 pm EST. The third in a series of special Miracula shows, Miracula LION is the first of it’s kind…. 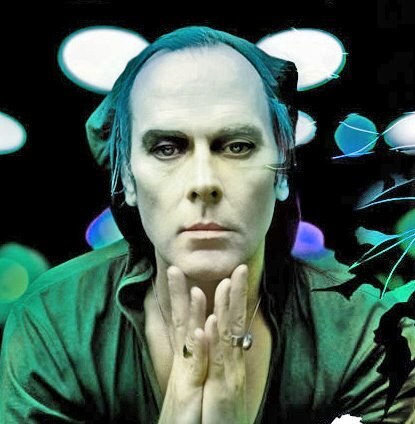 An evening of celebration of Peter Murphy’s upcoming new release LION, guests will have the once in a lifetime, unique experience of listening to the recording for the very first time with Peter himself. A very intimate listening party, Peter will play tracks–ones planned for the CD and some that may never be released–and discuss the recording, the songs, personal anecdotes….it will be an incredibly special night that will introduce the new CD months in advance of the planned release date to guests in the most personal way imaginable. An unprecedented discussion between artist and audience will ensue, and it is something that no fan will want to miss. An evening with Peter Murphy….great food, conversation, wit, charm, insight, and LION…..Will you be able to say you were there? Guests will receive a signed and personalized copy of LION after it is released, plus a special edition signed photograph from the recording session. The evening will take place at a secret location in the Los Angeles area. Tickets will be limited to no more than 40.